It may cost money to hire a professional company to make your business website, but the cost can be seen as an investment into the success of your company in the long run. When you are planning to start a business, there are so many different expenses you have to take. Even if you run the company out of your home until you build and expand, there are costs for marketing, licensing, mailers, merchandise, staff and more. While there are tools that can help you build your own business website just to be sure your clients can find you, visitors can easily spot a do-it-yourself page built by someone with little experience from miles away. While some clients will not care about the quality of your website, prospective clients will. Here are just some of the main reasons why hiring a professional website designer will benefit you in the long run. Some clients are hesitant to do businesses that have just been established and are still small. It can really improve your reputation to make your company look bigger than it is from the start. 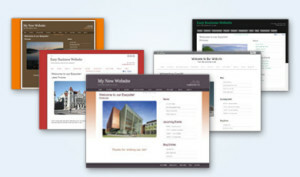 When hiring a professional website designer to build your site and design it, you will have a page complete with landing pages, web pages, unique images and the highest quality content. The look will speak volumes for your brand and will convince clients that you are a company that they can trust. If you are not an expert in Search Engine Optimization, you probably do not have a clue how to start optimizing your business site. You understand that SEO is important for any company marketing online, but you simply are not familiar with the most minute tactics to get good search engine rankings, according to HubSpot. When you hire a professional company that employs SEO experts to write content and to choose imagery, your entire website will be easier to find. Individuals who are actively searching for a product or a service you offer in your vicinity will be exposed to your brand. The more brand exposure the more the public will become familiar with your brand and what you represent. An unreliable site can do a lot of damage. If your site is extremely slow or constantly displays an error message to visitors, you are going to have a high bounce rate, which will affect your online reputation with Google Analytics. The search engines rank sites by using several different statistics. One of these is how many visitors quickly leave the site. This is a sign that your site is unreliable or irrelevant to the keyword. To avoid losing traffic, you need a fast site that stays live without the errors. When the professionals do the job, they know how to keep the site live so that you can save time and money. In the end, having a professional website that was built by the professionals will make you money. Your site will be compatible with advanced technologies and will speak about your brand. If you are planning to market online, you should hire a professional company to make your business website for better results.